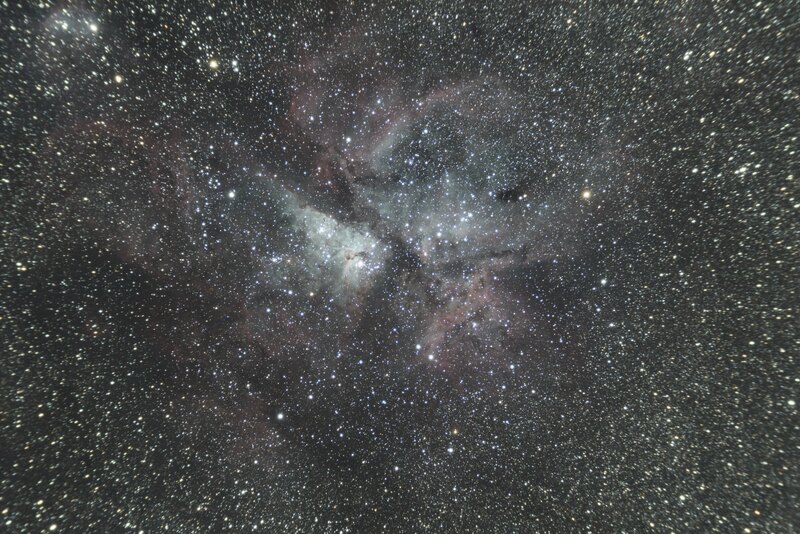 My last photo of the trip, NGC3372 Eta Carinae Nebula. Very nice subtle colours, Michael. Like Aubrey, I love the subtle/muted colours on this. Looks like you may need a flattener with that set-up though. The main subject has some lovely detail - but I keep getting dragged away from it by the stars in the corners. Have you played with cropping it some - to make the nebula stand out more? I have plans to get a flattener. I got the scope shortly before I traveled to Auz and didn't spot the need for one until after I arrived. I'm back in Ireland next week and will use the long, dark winter evenings to try some proper processing.